Looking for efficient, secure and lowest price parking at Luton airport? Then you are at the right place here you can find the amazing prices on meet and greet parking, park and ride services with up to 70% OFF on already cheapest prices. Find the best possible deals through the comparison and get instant quotes for hassle free Luton airport parking for your long stay, mid stay or short stay. Pre-book the most trusted Luton airport car park services with unbeatable price deals. Luton Airport has an amazing range of car parking options available from long stay, short stay, meet and greet or park and ride services. 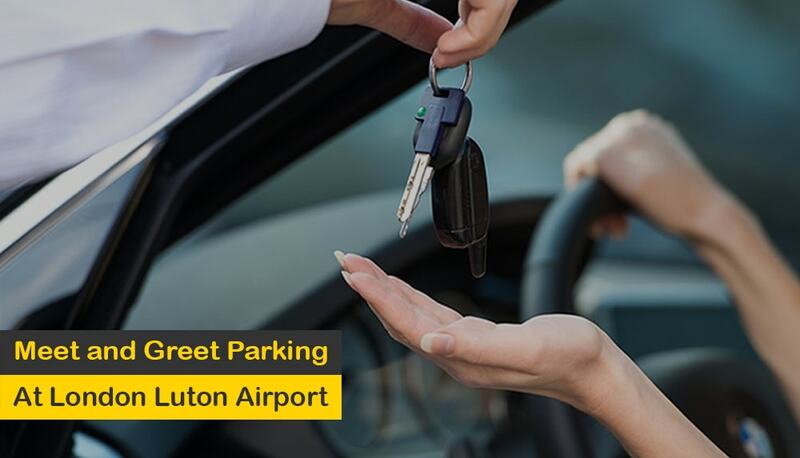 Simply Park and Fly delivering hassle-free, secure and low-cost car parking at the London Luton airport. Our company strives to provide the best possible and most comfortable parking options available by delivering through admirable service and customer satisfaction. The services that our valued customers receive are sure to be top of the class since we believe in building a long term understanding with each and every customer. Luton park and ride and cheap Luton meet and greet has not been any easier than this. Offering professional services from the most trusted and verified drivers, the Luton valet parking service providers will take proper care of your car as you enter the airport premises. Once contact is established, the crew of the London Luton airport Meet and Greet will be the ones to park and secure your car, giving you a hassle-free Luton airport parking experience. We offer to compare some amazing Meet and Greet parking deals at the Luton airport. Driverfly, Express Airport Service, Osia Airport Parking, Swift Meet and Greet Luton Parking & Simply Super Saver Meet and Greet and other parking options are available, so we’re sure you’ll find the right one for you. What is Meet and Greet Parking Services ? Meet and Greet (more commonly known as Valet Parking) is a car parking service that specializes in Luton airport venues. No need for transfers or long walks to the terminal with Meet and Greet Parking. Loyal to its brand, drivers will quite literally meet and greet its customers at the previously agreed upon meeting place. Customers can then leave the car keys to the assigned Meet and Greet chauffeur and then get on with whatever business they have at the airport. Once the customer exits the airport, just contact the assigned chauffeur and they will drive your car directly to the front of the terminal. The car keys will be returned, and you can hop in and drive home—free from the everyday hassle of regular parking, thanks to Meet and Greet service. Drivefly is one of the standard valet parking services of Luton Airport. The company and the customer agree upon a time and place, and the exchange of car keys occur once the conditions are met. Your car is then parked onto a specialized parking space, and once you’re finished with your airport business, you can have your car driven directly in front of the terminal where you currently are. Express Meet and Greet Luton Parking service takes away Luton airport car parking headaches to make sure that the start and finish of your trip, whether it is for business or pleasure, is a pleasurable experience. They pride ourselves on providing a cheap and affordable meet and greet parking service at Luton airport. Express Meet and Greet at Luton operates from the Short Stay car park outside the Terminal Building. The walk from Short Stay car park to Terminal takes approx 5-7 min. Osia Parking provide first rate, meet and greet parking service for Luton Airport. Located in close proximity to Luton, Osia Parking Luton takes the hassle out of airport parking by meeting you at the airport and parking your car safely and securely for you, then meeting you back at the airport when your return flight arrives. With Simplyparkandfly you can book your Meet and Greet Luton airport parking with Osia Parking. Simply Park Super Saver Parking aims to provide you with an affordable Luton airport parking service by collecting your vehicle at the terminal as you depart and returning it upon arrival. The vehicle is parked safely and securely in a secure car park, which is manned 24/7 and patrolled by mobile security. All our chauffeurs have full liability insurance cover to drive your vehicle. Generally, the cheaper of the two, the difference of Swift Luton Meet and Greet service from the standard one is that your car is parked on an off-airport site. In addition, once you’ve finished with your business at the airport, your Meet and Greet chauffeur will only drive the car back to the short-term airport parking space, rather than directly to your terminal location. If you’re a thrifty person who doesn’t mind walking a few meters to save a few bucks, the Swift Luton parking service is perfect for you! Within or without the airport premises, the safety and security of your car is guaranteed. Cheapest meet and greet at Luton prides itself on its security system. Regardless of the location, the company is aware of its responsibility to your car, and will go out of its way to ensure that nothing malicious will happen to your car while it is under the protection of secure valet parking. Among these safety precautions include the placement of security cameras along every corner and crevice, a high-end fencing system, and a group of assigned best Luton Meet and Greet patrols that walk through the perimeter to stave off people with malicious intent. With an average price of 5£ per day, one could easily infer that the price of the Meet and Greet service is relatively cheap for a rather exceptional service. It’s a small price to pay for the removal of stress-inducing events, such as the common bumper-to-bumper occurrence with airport parking, which can be avoided thanks to the service provider. Why Should I Choose Meet and Greet Parking at Luton? Building its reputation from scratch, Meet and Greet have now grown to gain the trust of numerous airport-goers, which can only be achieved by offering consistent and never-failing quality services to its customers. The fact that Meet and Greet parking has achieved this much trust and built up such a good reputation only serves as solid proof of their never-ending devotion to their customers. Park and ride is the another name of off-airport parking, if you're looking to save some extra money, you can always choose the Luton airport park and ride option. The only difference is that you will have to park your car at its designated spot yourself and come to the terminal. You may also choose to avail the bus or shuttle service to reach back at the terminal, which runs on demand. 24/7 security of your car while you're away makes the park and ride Luton service a viable option for your if you're not willing to choose the more luxorious service. We also offers cheap Luton park and ride parking options though it is advised to book services as early as possible to ensure yourself the best parking spot. More than 1225 reviews that we have collected, our reviews for Luton parking service give an appreciable rating of 4.2 out of 5. This is because we ensure that there is transparency and that the customers would know what they are paying for after comparisons in the options. Cheap Luton parking options have not been easier to avail and our testimonials speak for themselves! Meet and greet, Luton style gives you the option of appointing a chauffeur who would park your car on its designated slot.